Sugarface had a work thing in Toronto and I couldn’t resist tagging along even if just for a weekend. I spent less than 48 hours in Toronto which was enough to know a couple of things for certain. 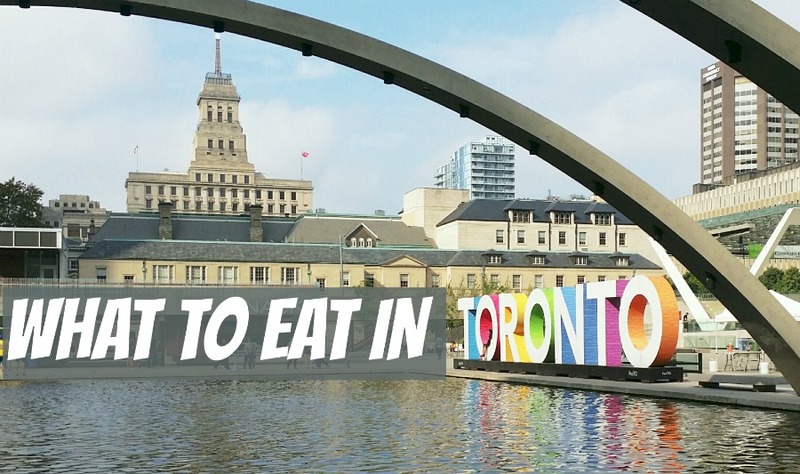 First, Toronto is such a hot food destination. And an obvious second, two days isn’t enough to even scratch the surface! What follows is a recap of our meals. We stayed downtown and our meals were walking distance from our hotel. I didn’t photograph most of these places because of poor lighting, which frankly bummed me out. But the memory will live on through this post regardless! By the time we arrived to our hotel, we were running on four hours of sleep and starving. We walked by Gyugyuya on the way to our hotel, and noted the lunch crowd despite it being late into the afternoon. Sugarface got the beef bowl which is their namesake, and I got the fried chicken with egg. Both were served over rice in cozy bowls with generous portions. We happily tucked into our bowls and enjoyed sampling the other’s order. I have an internet friend for about six years and hadn’t met him in person. Tom saw one of my Toronto updates on Facebook and a few hours later I was able to meet him for the first time! I was still full on Gyugyuya but was looking for something I could nibble on while Tom grabbed a drink. I ordered the Posh Tots (duck fat tater tots) and still think about them. Tater tots are one of most favorite things. I have many college memories of dinners made up solely of tater tots. After our friendship date, Tom and I took a photo outside of Friar and Firkin to commemorate our meeting. When collecting recommendations from locals, Bar Raval kept getting mentioned. A popular and lively traditional tapas restaurant with a beautiful bar interior that is reminiscent of Gaudí. The croquettes might be one of my favorite bites from the entire weekend, the filling was the creamiest filling I’ve ever had in a croquette. We scored a table on the patio and it reminded me of our time in Barcelona, where we ate most of our meals outside the month before. I was cozy in bed past midnight at our hotel with a hankering for Chinese. We were told to experience the Chinese food in Toronto after all. Hong Shing was open and delivered to our hotel. I will always think fondly of their beef noodle stir-fry. Eating delicious food in a soft king-size bed with your boo while watching cable? Perfection. It rained all day Saturday and ducking into Pai for Thai curry before exploring Graffiti Alley felt like the right thing to do The underground restaurant had a whimsical vibe. We sat at the bar and I loved the twinkling lights. 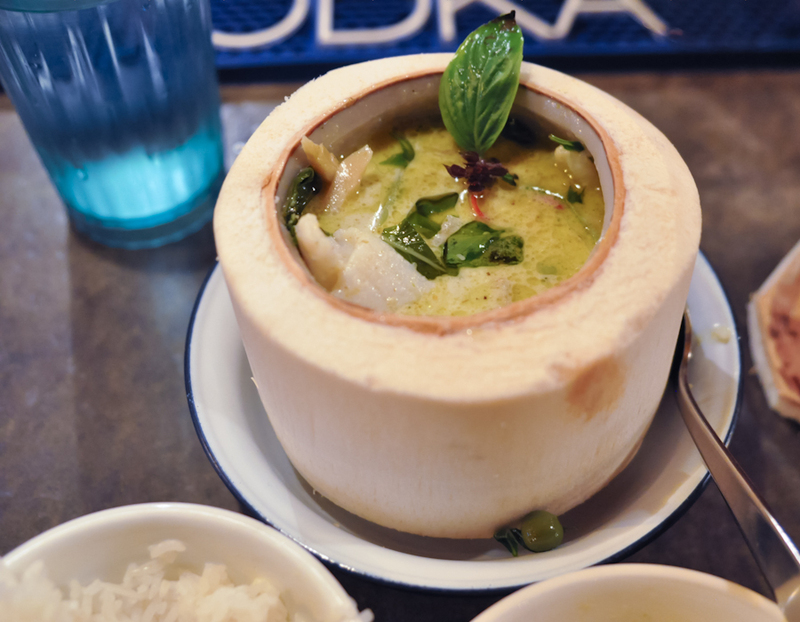 I ordered the green curry with fish and ate every last drop of the milky broth. The fish was delicate and lovely. 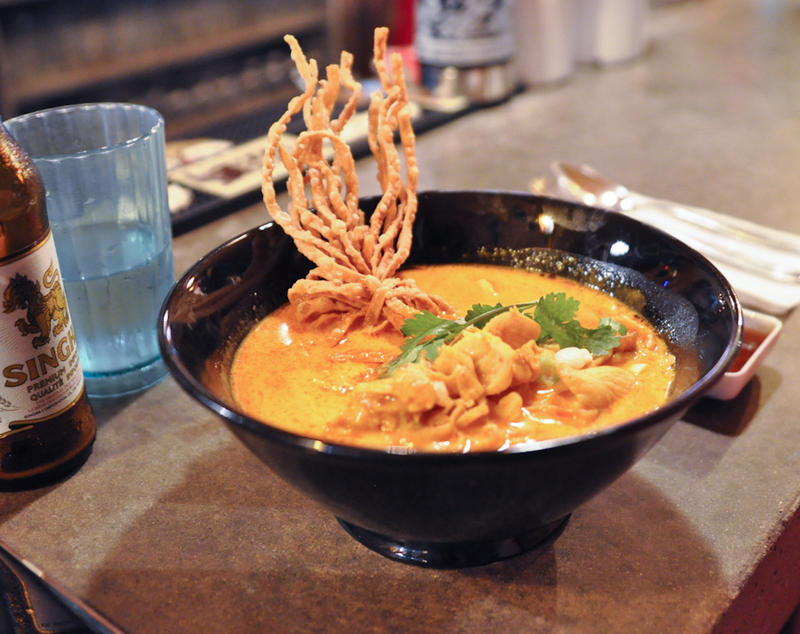 Sugarface ordered the Khao Soi (with chicken) Soup, with fresh egg noodles in a golden curry topped with crispy noodles. 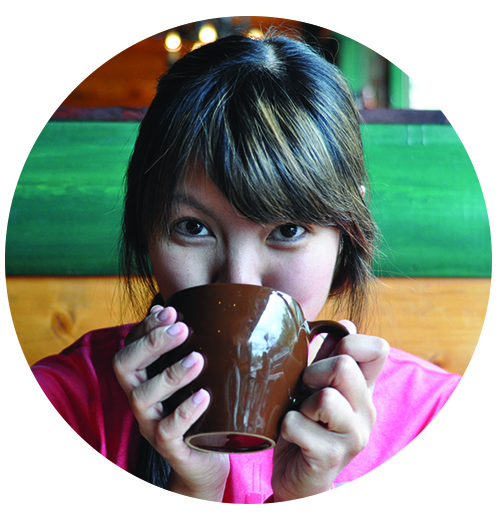 If I lived in Toronto, I can see Pai as one of my regular hangouts. On our way to the train station on my last morning, we wanted to stop by this pierogi place but they ended up being closed. On our walk to the original destination, we were reflecting on our short weekend together in Toronto and how one of our regrets was we didn’t eat poutine in Canada. We had tried to grab it before eating at Bar Raval while waiting for our phone call from the wait-list but they called us right after we made it to Smoke’s, a beloved local poutine establishment. Happy accidents led us to Loose Moose Tap & Grill for our last meal. It’s situated upstairs and on top of and their sister restaurant, Antler, another highly recommended establishment. I was so pleased to learn they have the same menu! Not only did we get to cross off Antler for our list of recommendations, but there was poutine on the menu. We did it! We ate poutine in Canada! It wasn’t the simple traditional poutine but close enough. 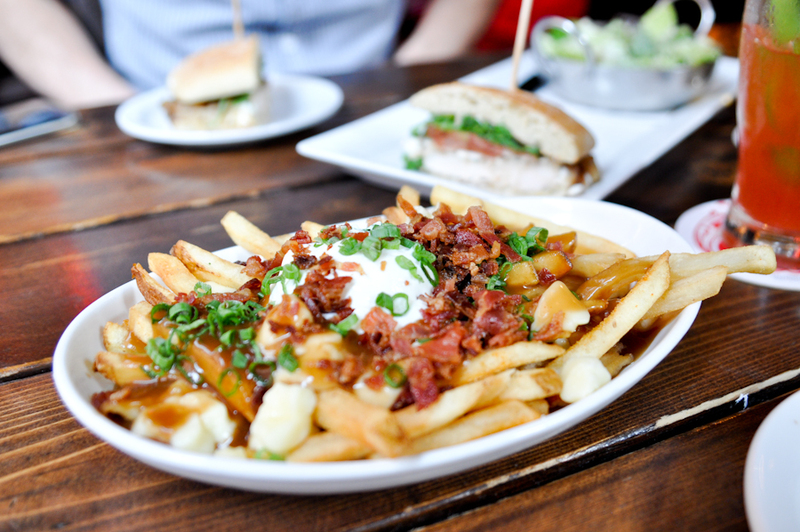 Their loaded poutine was the perfect last meal in Toronto. I also toasted the weekend by drinking a Caesar, which is like a Bloody Mary but Canadian and better. So that was my short weekend of meals in Toronto. Have you ever been? If so, where did you eat?